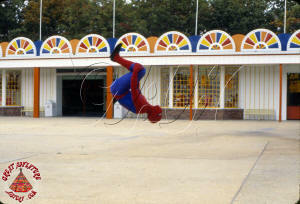 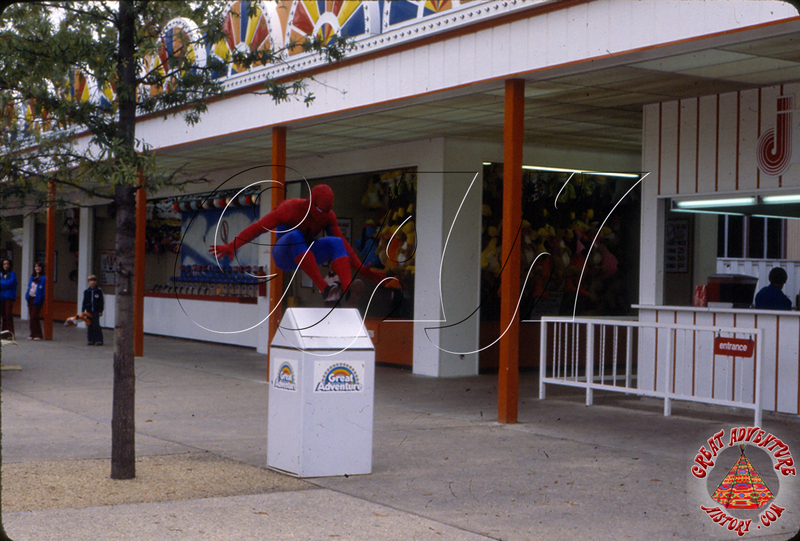 Games have been a big part of amusement areas since they first began, and theme parks incorporated games into the mix of attractions offered as both an activity as well as a big source of revenue. 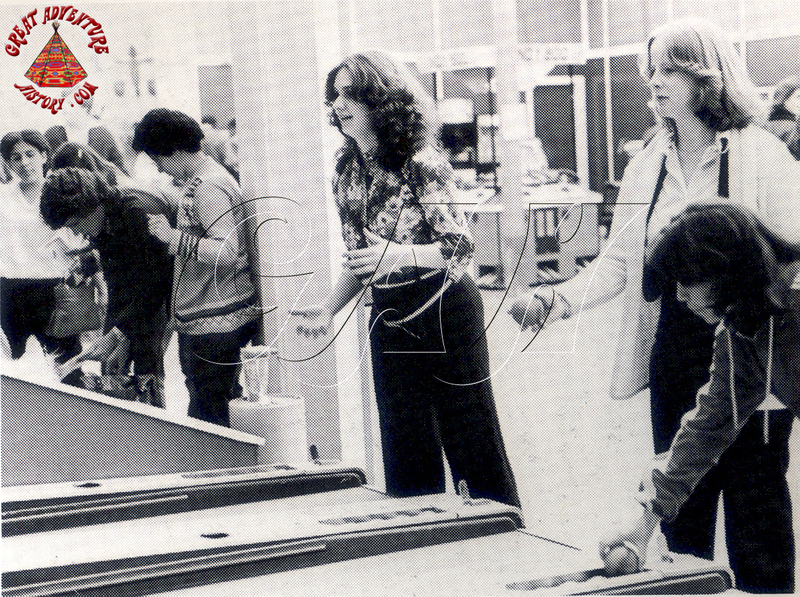 Games of skill (and luck) giving out an array of prizes have always called to passing guests who willingly parted with their hard earned cash trying to demonstrate their skills for their friends and other guests. 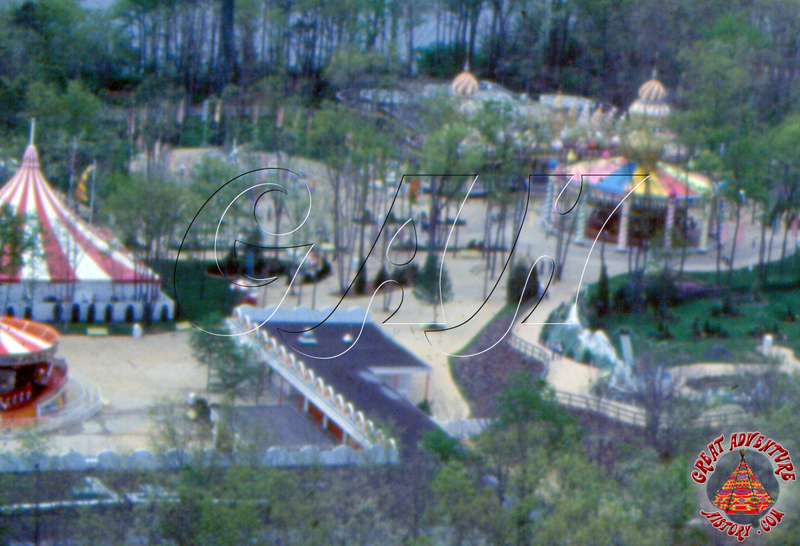 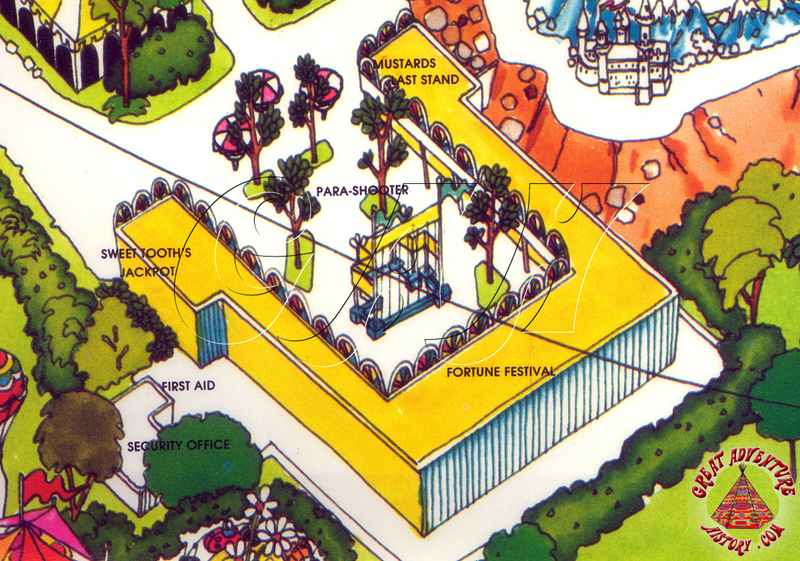 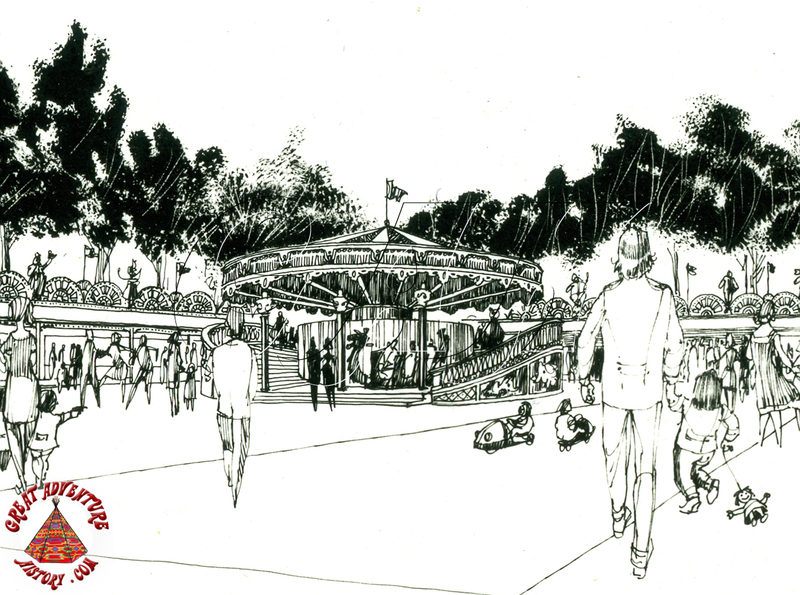 The Fortune Festival was part of the original pre-construction proposal for The Enchanted Forest area of the park, but the games area was not added until the park's second season as part of an overall expansion of park capacity. 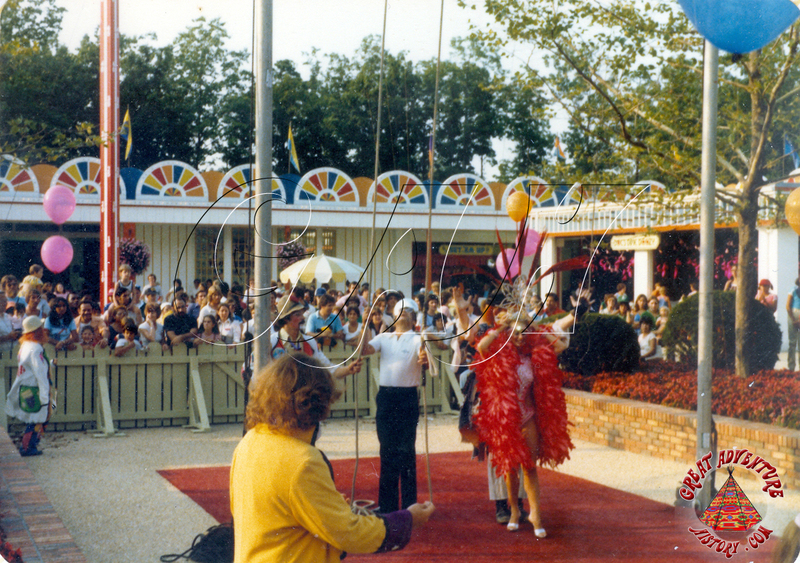 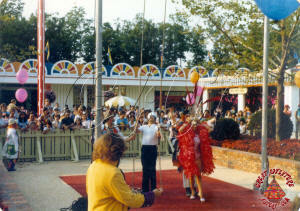 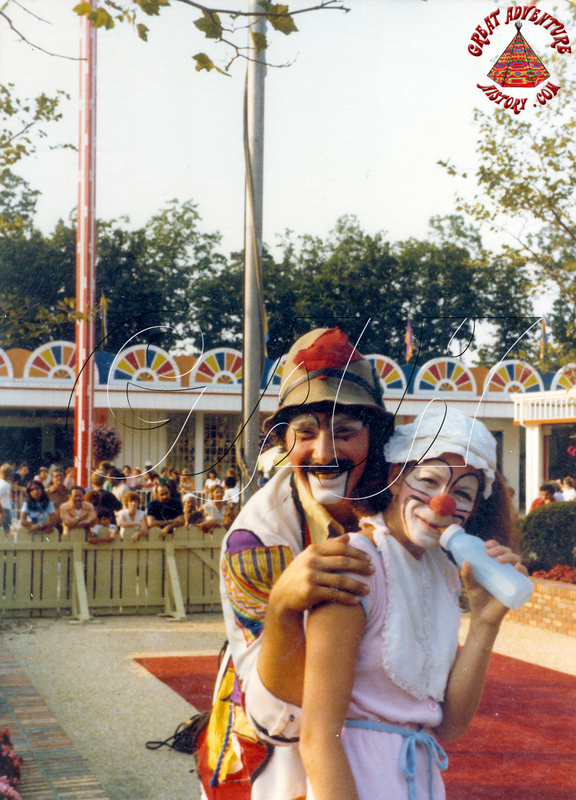 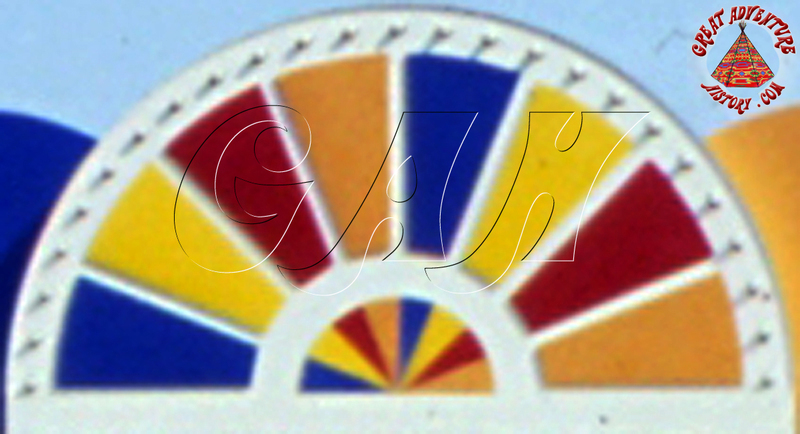 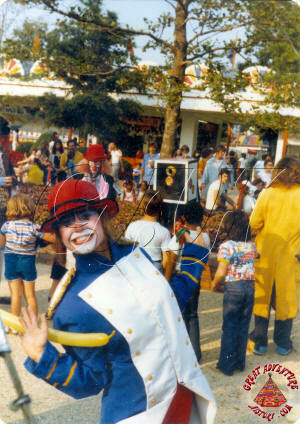 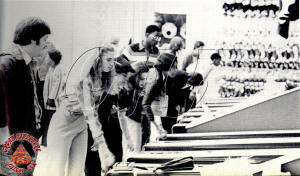 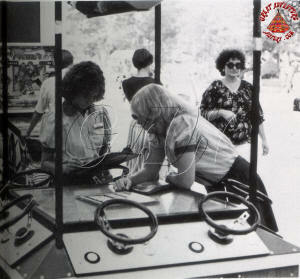 The Fortune Festival brought carnival/boardwalk style games to the park in 1975, as well as additional revenue. 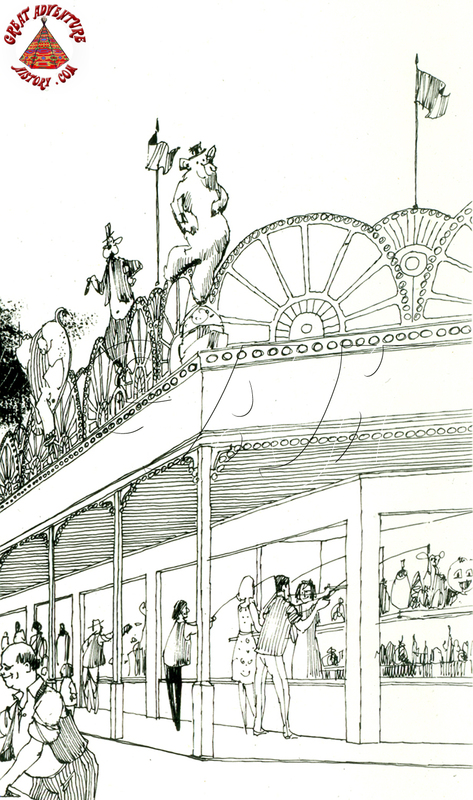 Originally, the center court of the building was to be home to a European Gondola ride. 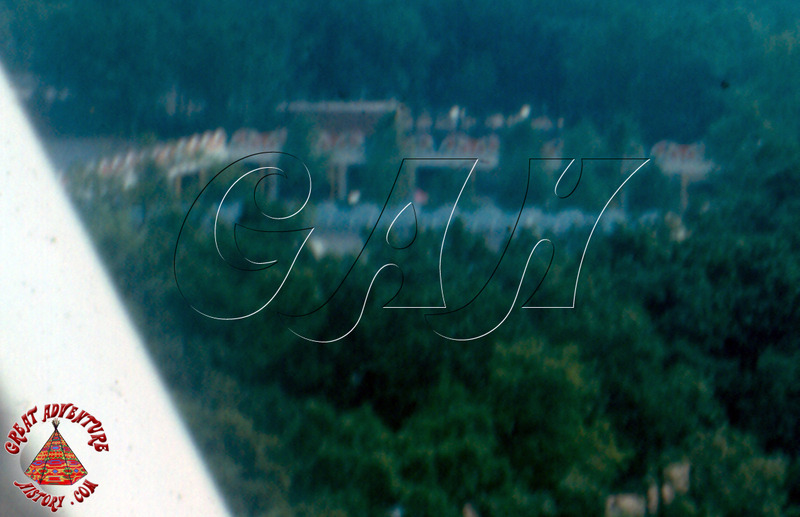 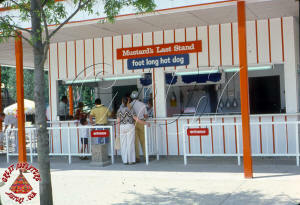 The Gondola is pictured on the 1975 map, and was off of it in 1976, however the ride itself didn't make it into the park until 1977. 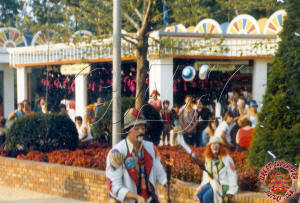 Originally the Gondola was to be one of the four carousels under one pavilion as part of the Over the Rainbow themed area. 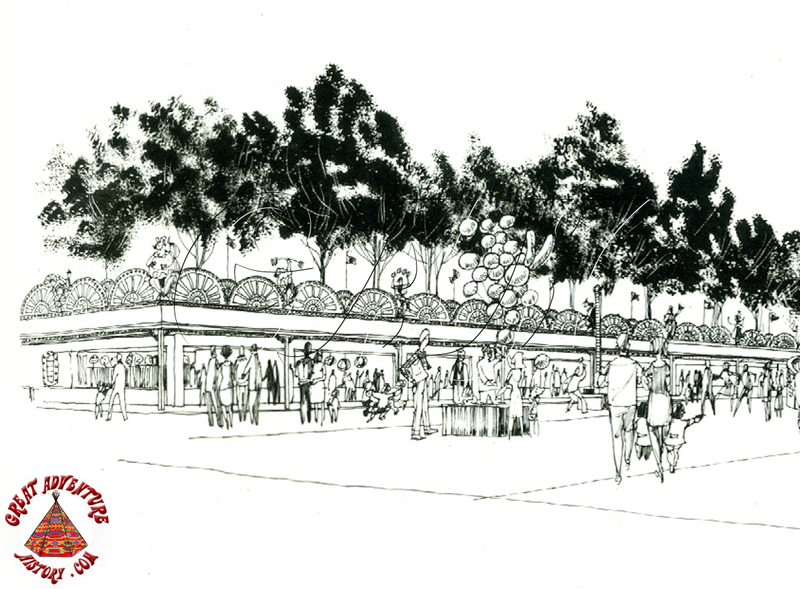 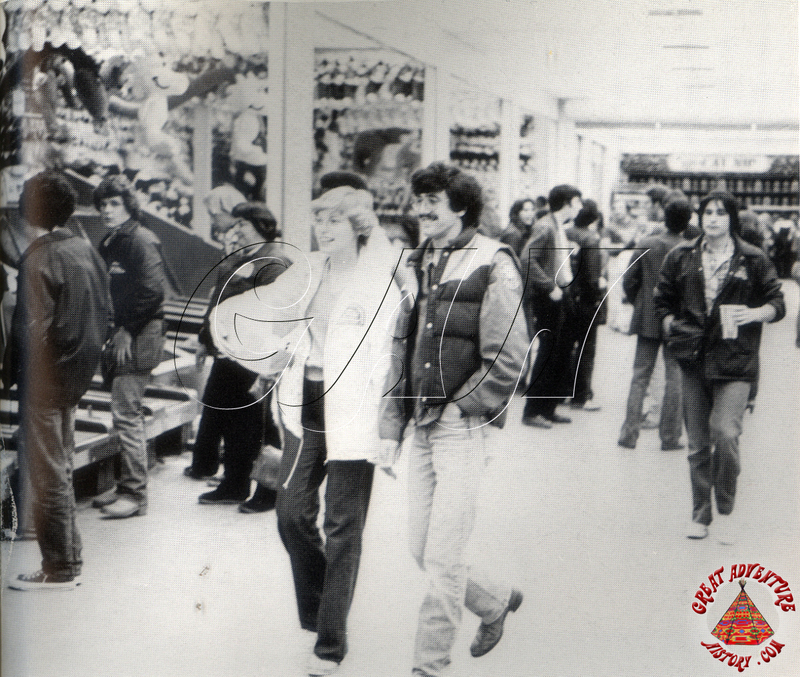 As part of the area, 2 new food outlets were added, which had various names and changed menus through their history. 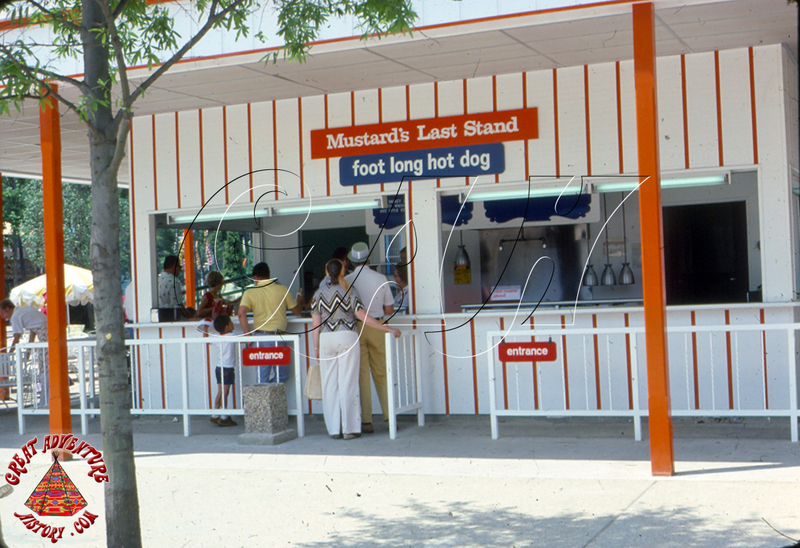 The most enduring of these was Mustard's Last Stand, which sold hot dogs. Perhaps the longest lived of the games in the center court was a giant 4-sided High-Striker game, which was billed as the largest in the world, and towered over the adjacent buildings. It drew as many spectators as players as men would come up and demonstrate their strength. 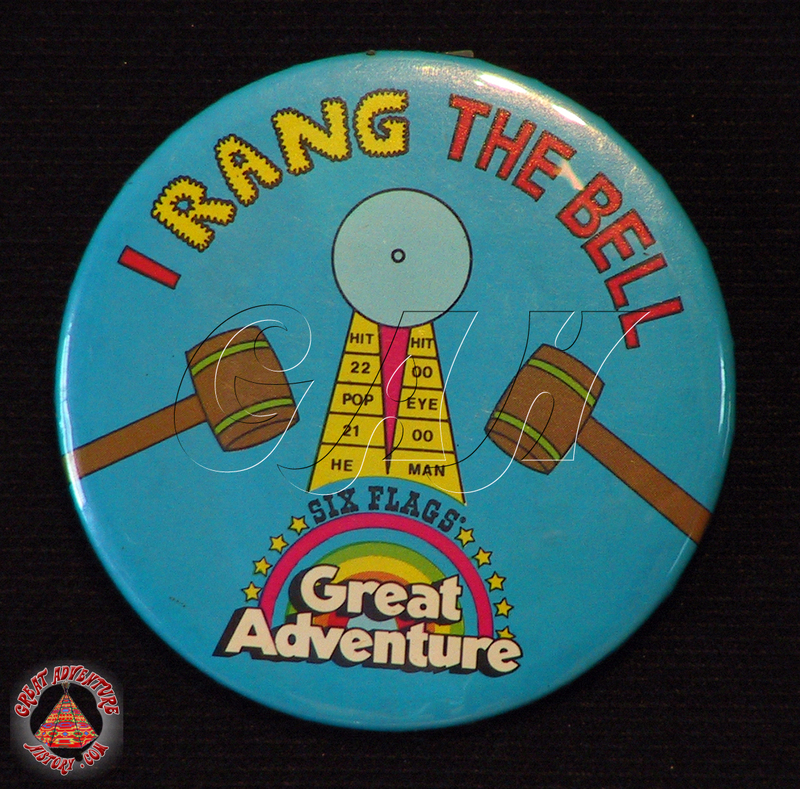 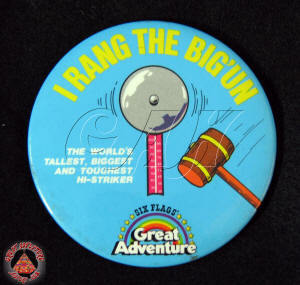 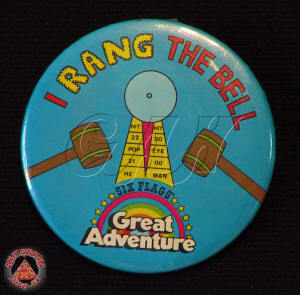 At the time, it was a game that generally only men would attempt, since it was a true test of strength, with large sledge hammers and lead weights on cables, which physically would ring the bell at the top of the tower. 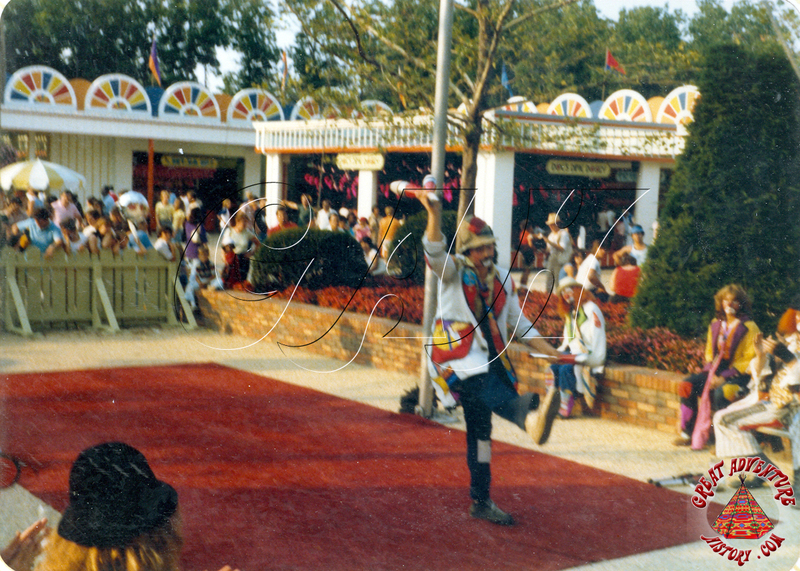 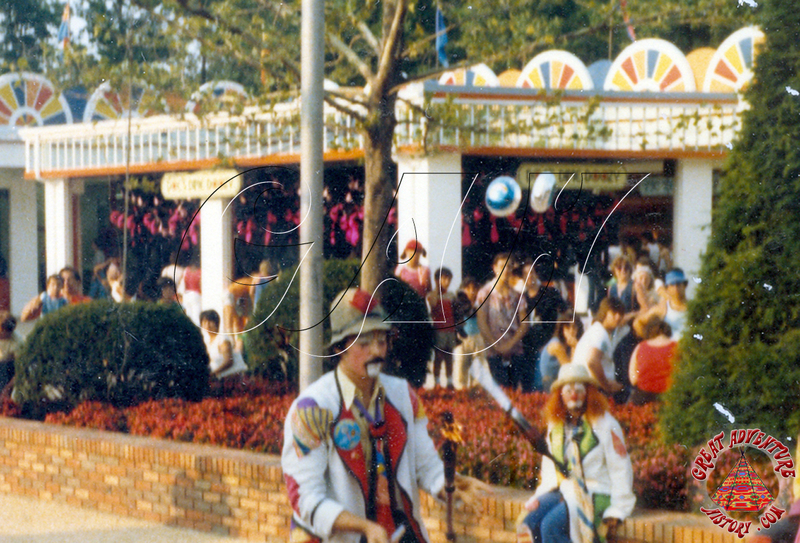 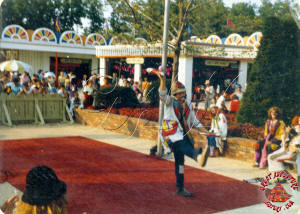 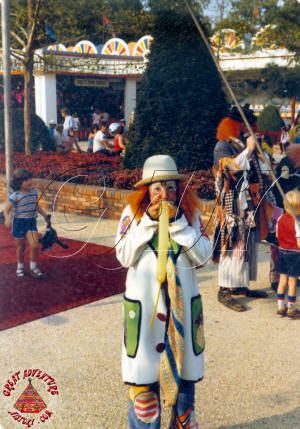 The central area of the Fortune Festival also served as a performance space where throughout the day clowns and other entertainers appeared to entertain the crowds. 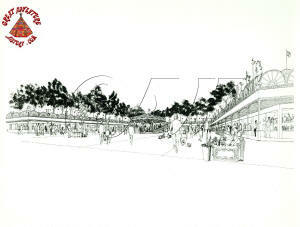 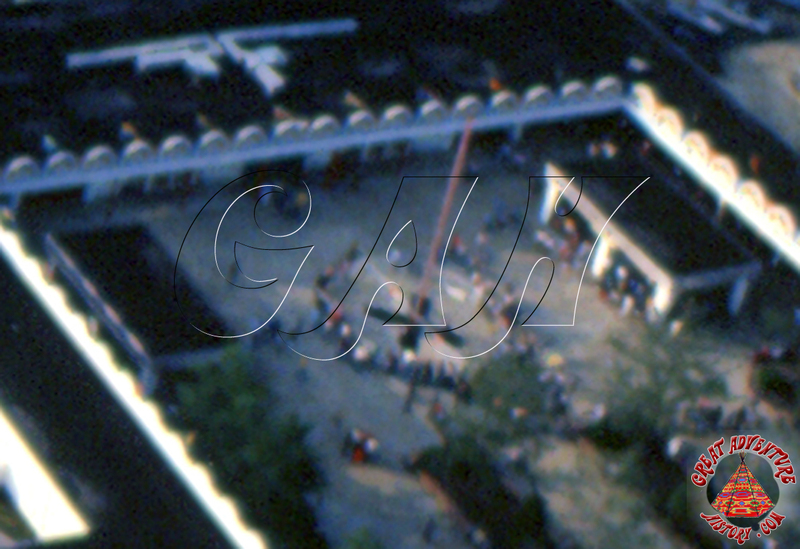 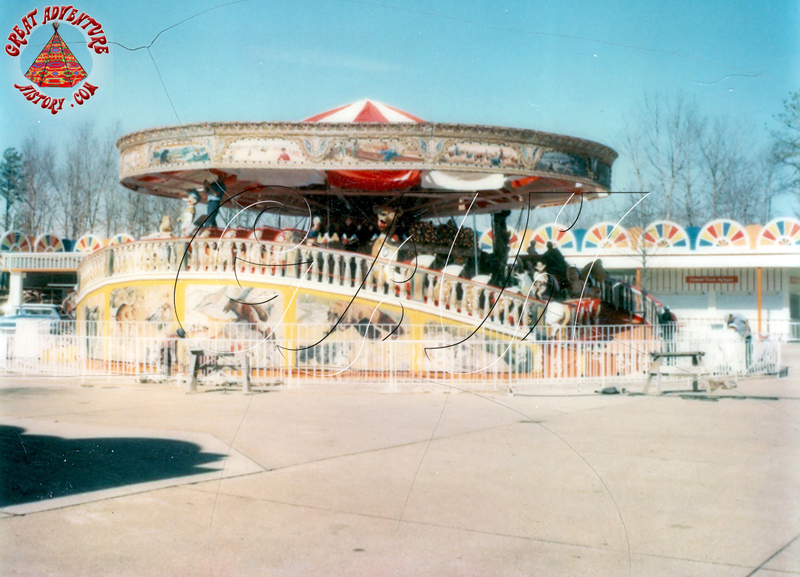 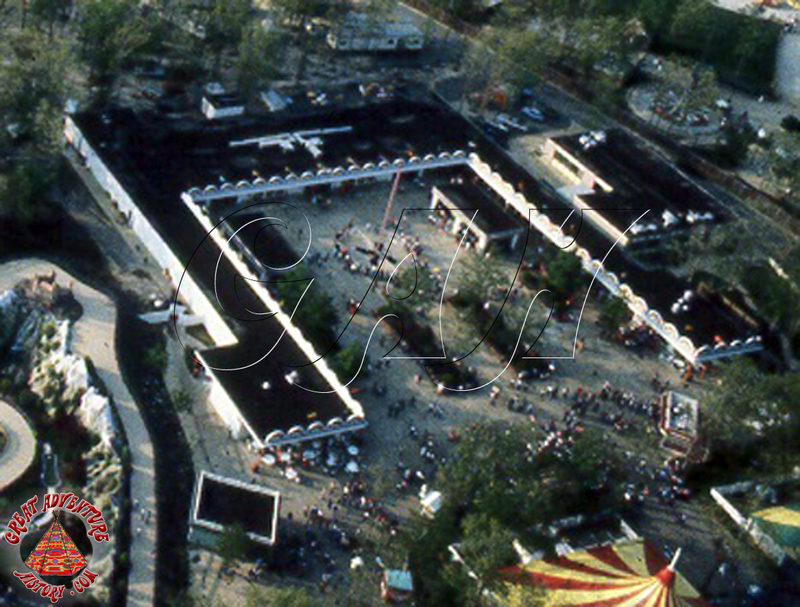 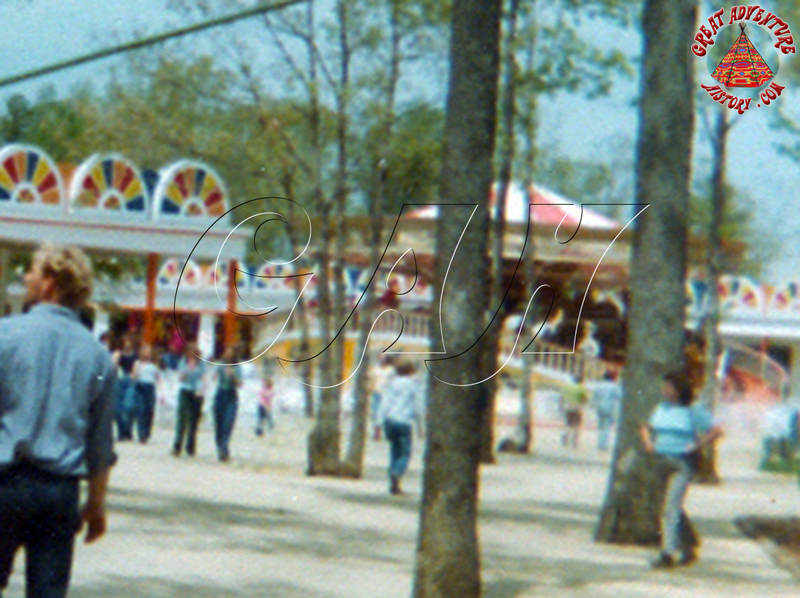 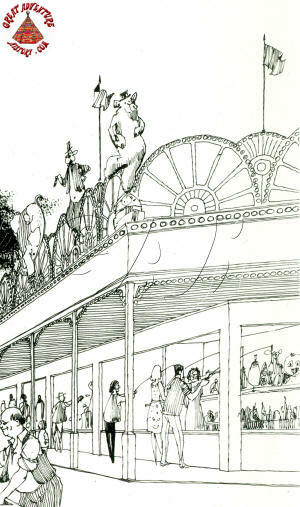 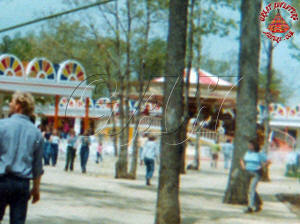 For the 1977 season the central area of the Fortune Festival was cleared of the remaining trees as well as the structures to build the Gondola ride. 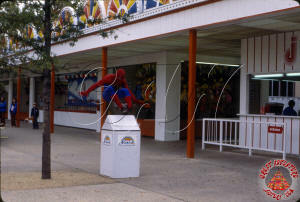 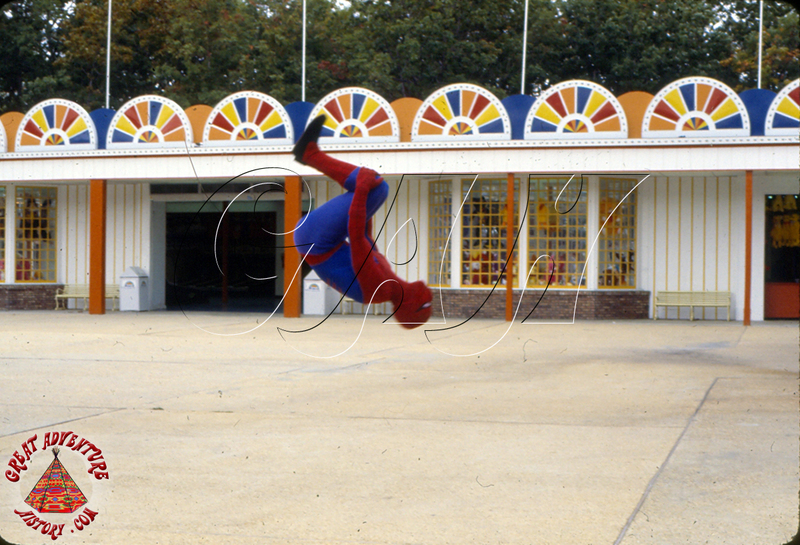 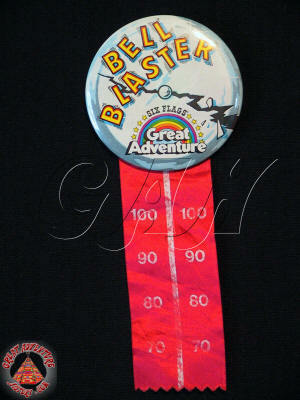 When the ride was removed at the end of the season, additional games buildings were added to help fill the empty space as well as to add more varieties of games. 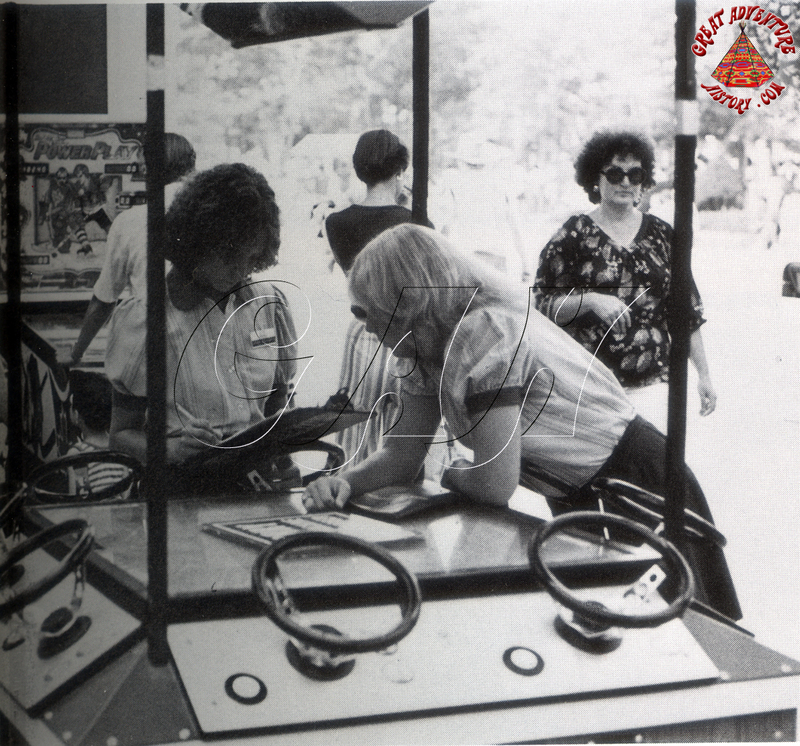 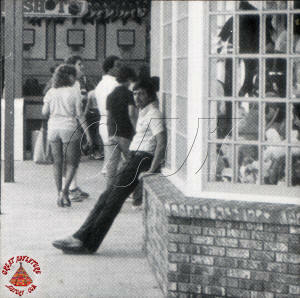 A Guess Your Weight booth was also added to the area, and was also a spectator event as much as a game. The games also included all the traditional coin tosses, ball tosses, and ring tosses as well as Skeeball, pinball and video game machines. 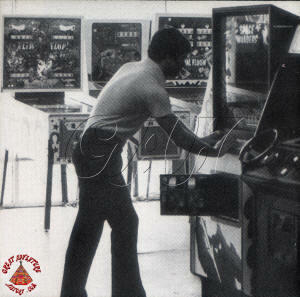 As the years passed more and more video games were added. 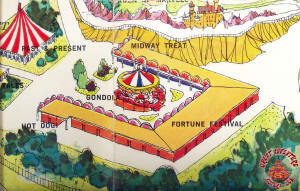 For six seasons the Fortune Festival prospered, and was so successful more games buildings and games areas were added throughout the park. 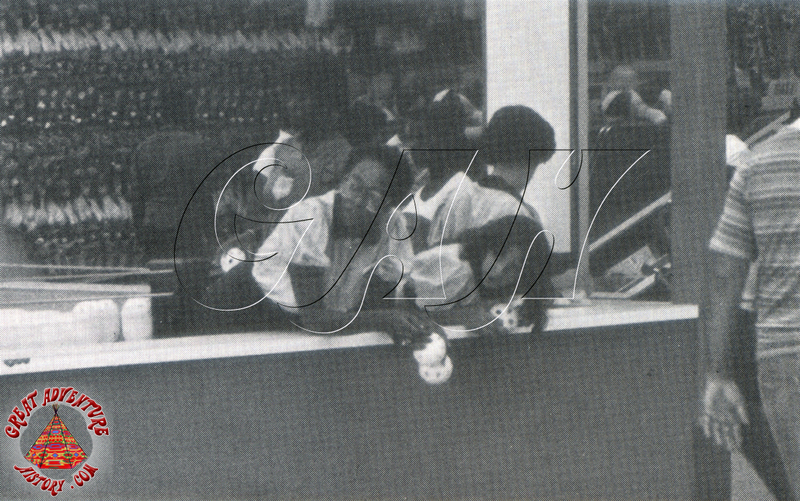 In the 1981-82 off season, an electrical fire broke out, and burned the entire structure to the ground. With the park closed, no one was injured, but the fire was estimated to have caused $1 million in damage. 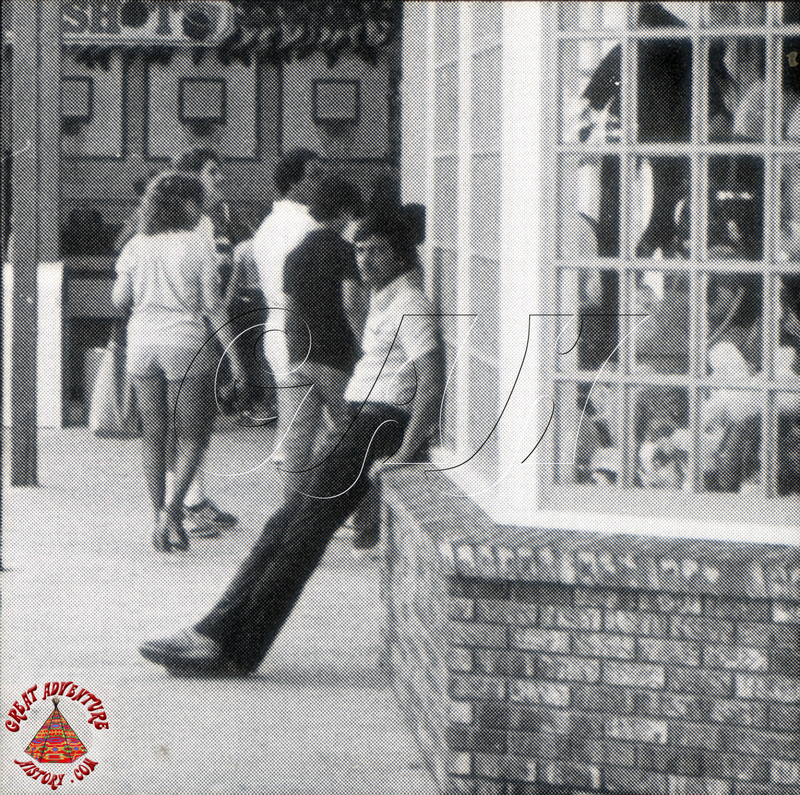 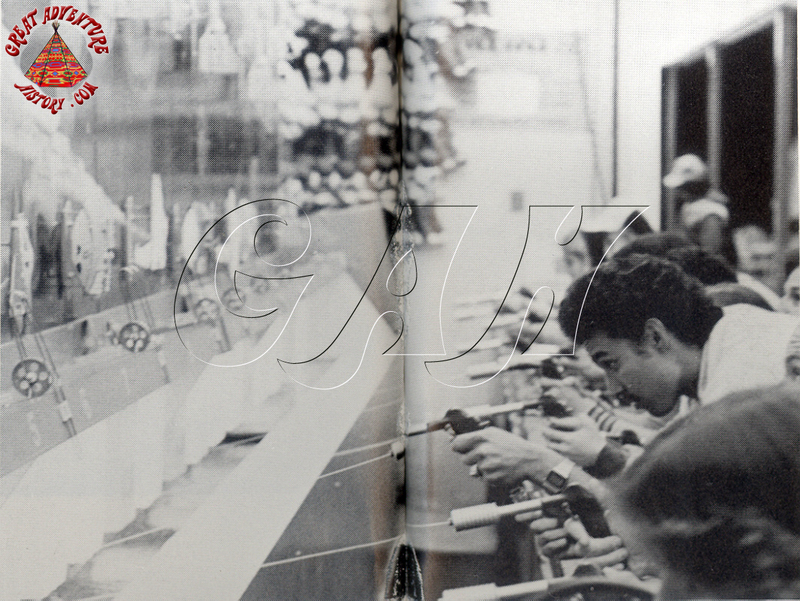 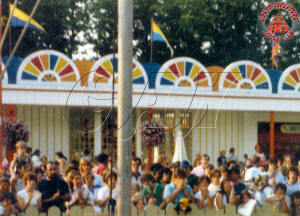 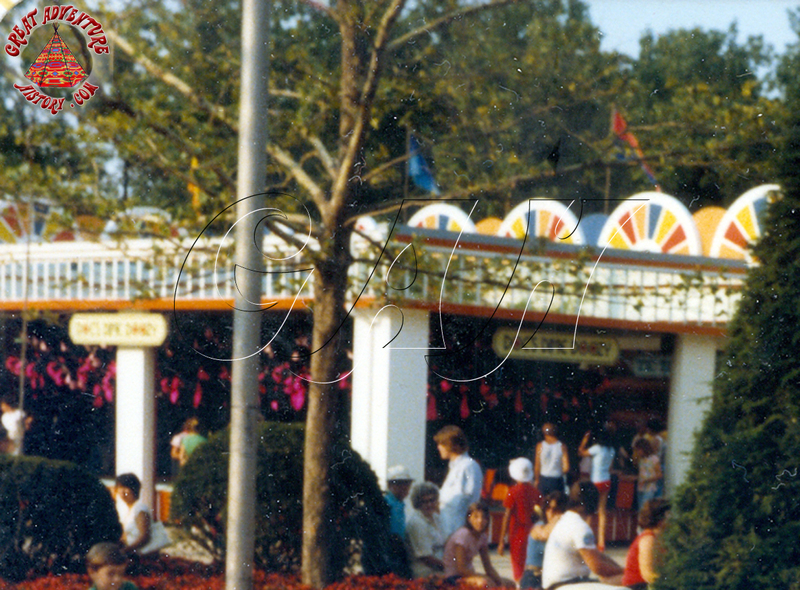 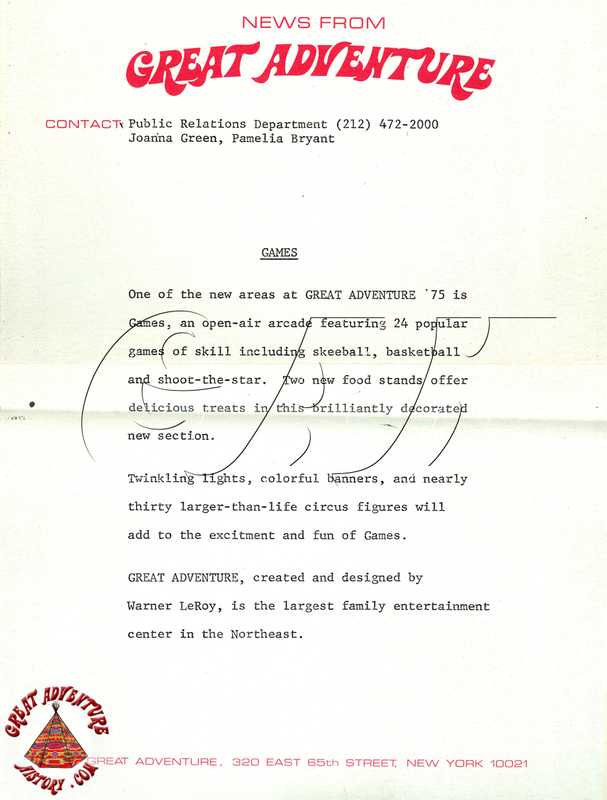 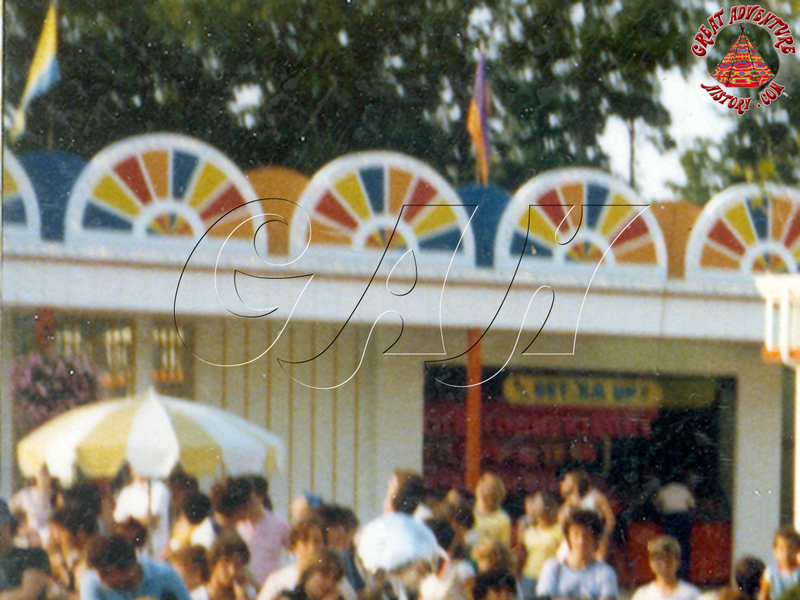 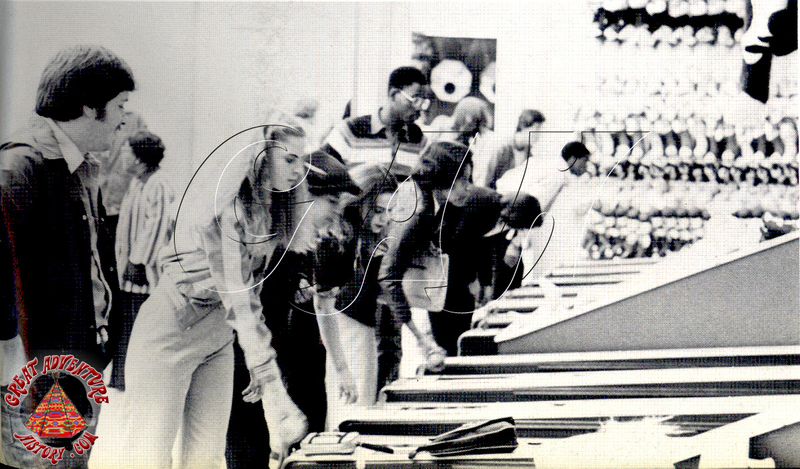 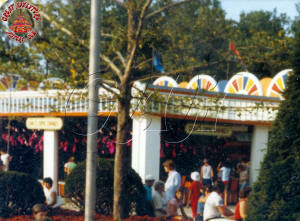 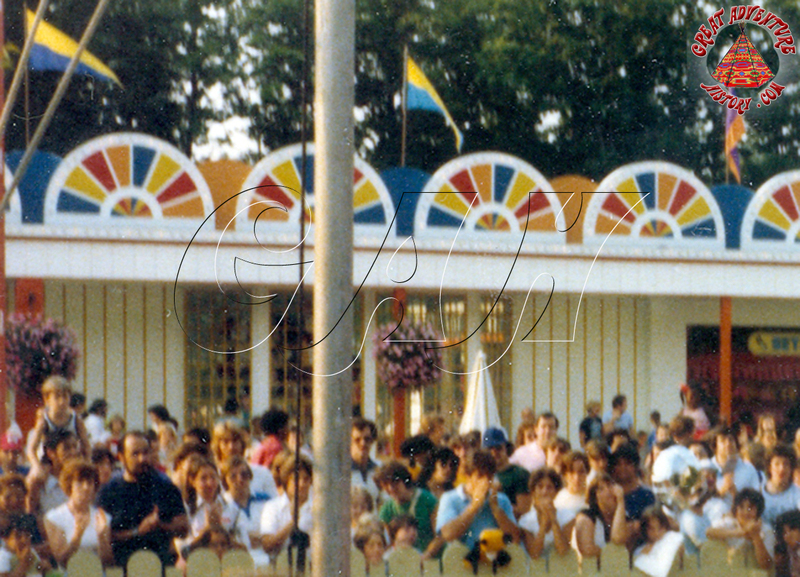 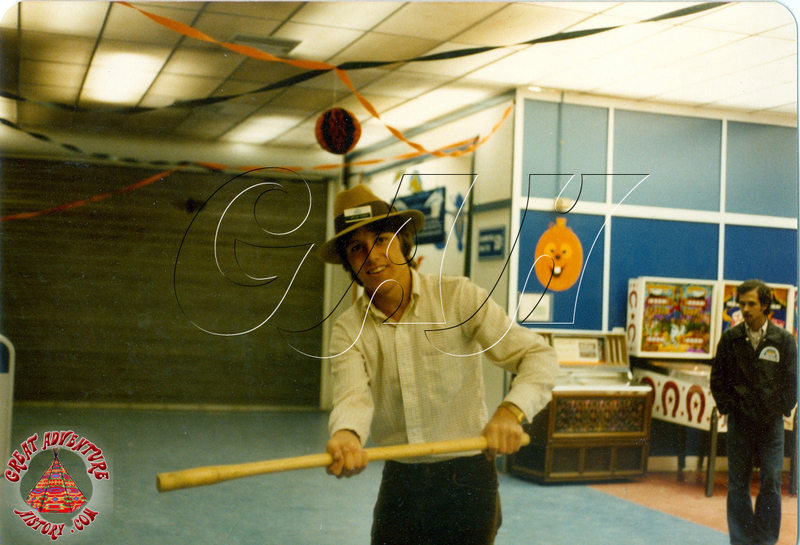 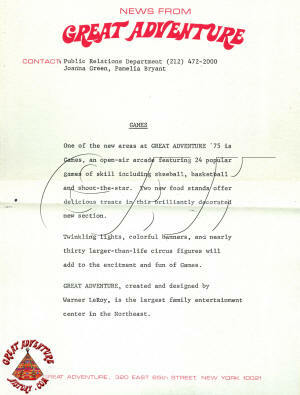 In 1982 the new Goodtime Alley games area was built.